Beautiful Colonial in Cloverfields - Community has marina, beach, pool and more. Right across the Bay Bridge on the Eastern Shore.Many upgrades including kitchen with 40" cabinets, granite, SS appliances and tile floor. Hardwood floors throughout the main level. Hunter Douglas blinds, freshly painted with 4 bedrooms and 3 baths. 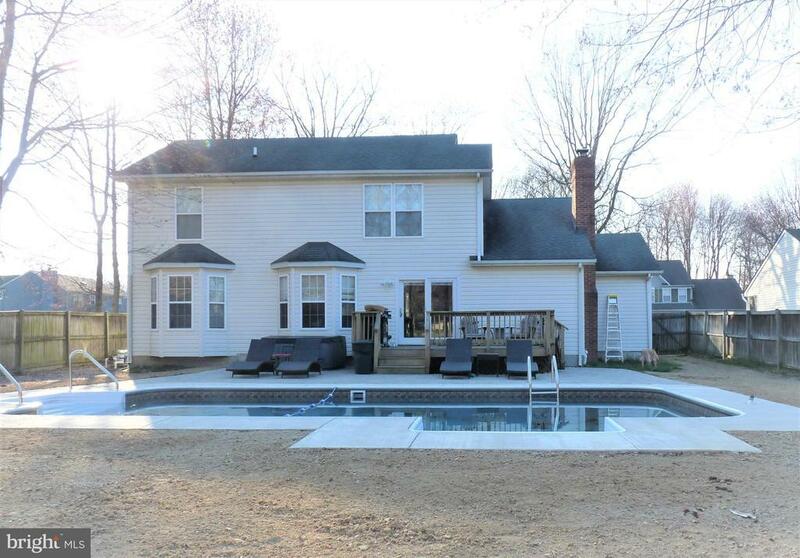 Deck and fenced in rear backyard with BRAND NEW pool and patio. French drain also just installed. A must see.